Syzygy Theatre Group presents the musical Goblin Market. 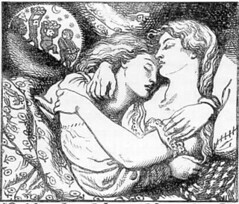 Adapted from the poem of the same name by Christina Rossetti, it tells the story of two proper Victorian sisters who return to their childhood nursery to relive the haunting memories of their youth, only to be tempted by bizarre goblins who entice them with luscious fruits and promises of unimagined ecstasies. Kim and I are attending the event tonight, and I beside myself in anticipation. Subway Terminal Building	CHC field trip to De Longpre Ave.